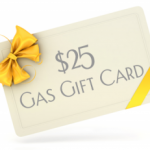 Refer a friend to Faribo Insurance Agency and get your name in a drawing for a $25 gas card. If you refer a new customer to us and we are successful in writing insurance for them we will enter your name in a monthly drawing for a $25 gas card. In the comment section below, you can tell us which agent you would like to have your referral directed to if you wish. Your name also goes into our year-end referral program drawing for a $250 gift card of your choice.